Ritchey Livestock ID, makes the best livestock ear tags. Their unique tags and engraving methods produce tags that will not fade. 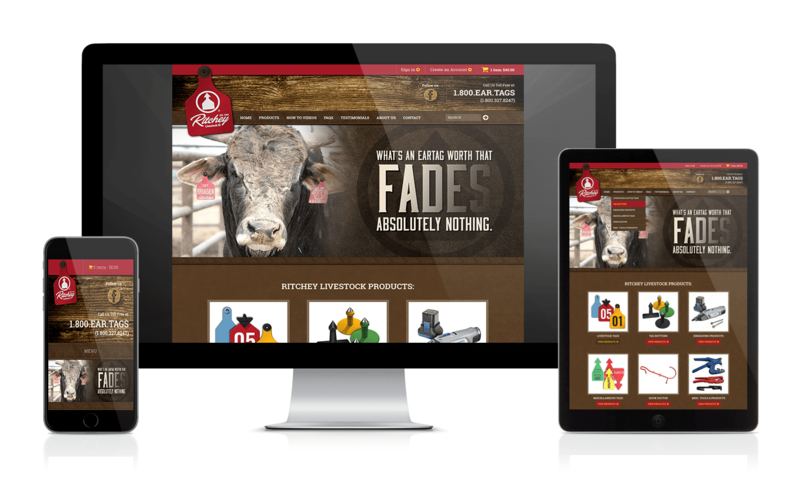 Ritchey Livestock ID contracted Digital Web Ink to develop a high performance, mobile responsive e-commerce site. Built on WordPress and leveraging Woocommerce for the store, shopping cart and inventory management. The site also leverages GravityForms to produce a custom form which guides customers trough the engraving options.